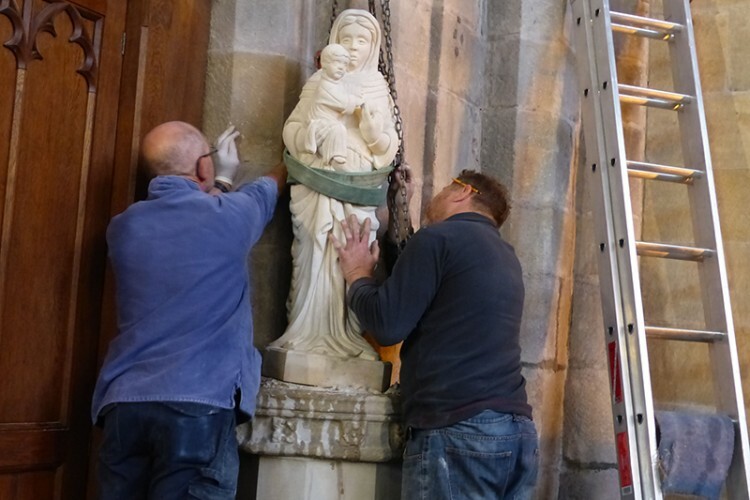 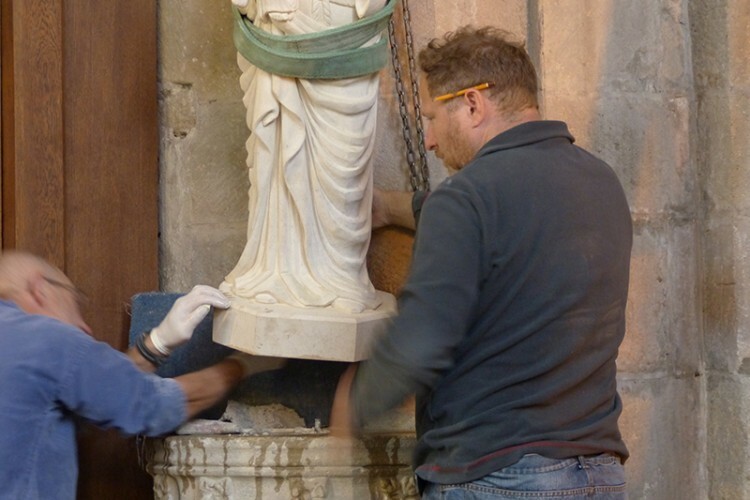 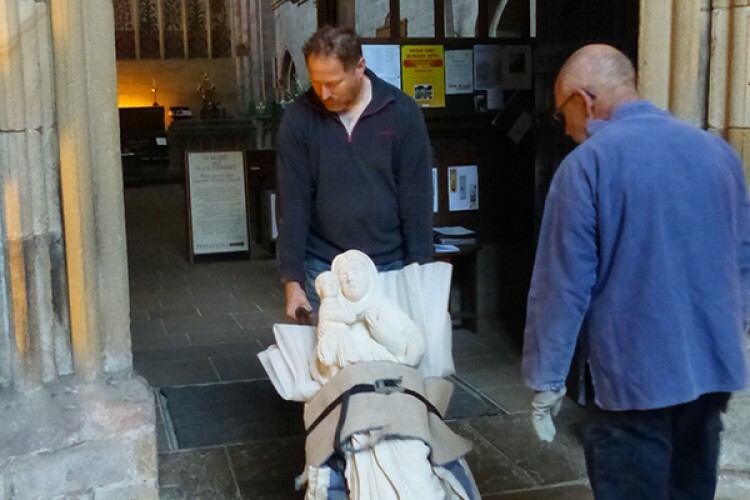 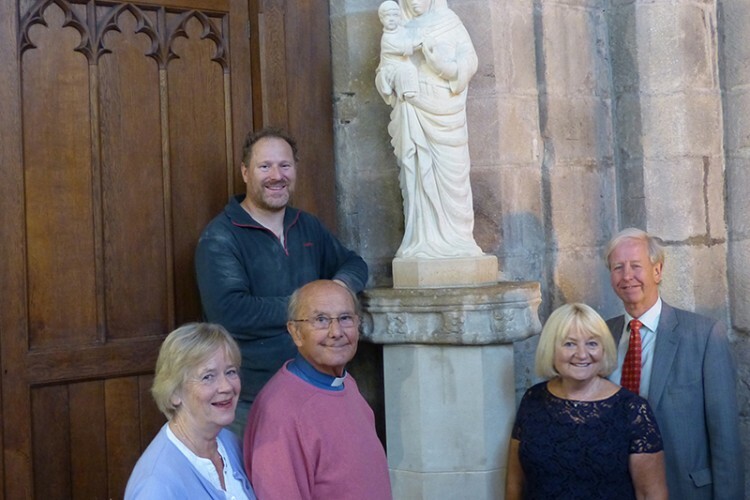 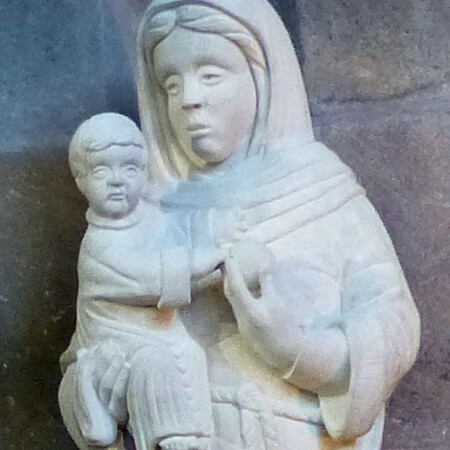 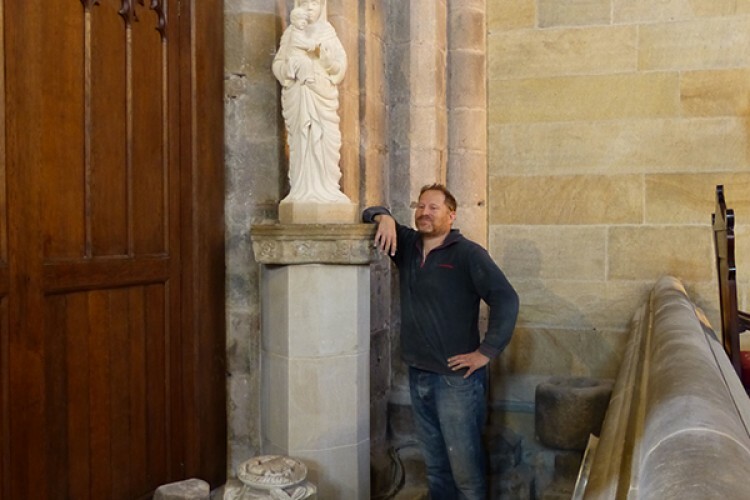 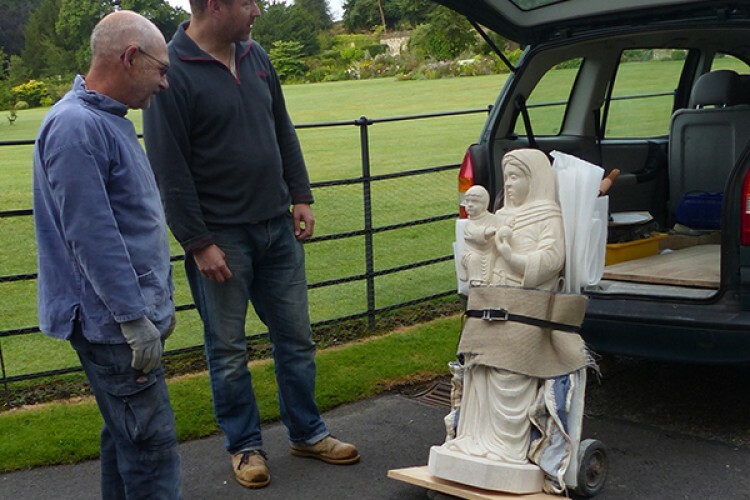 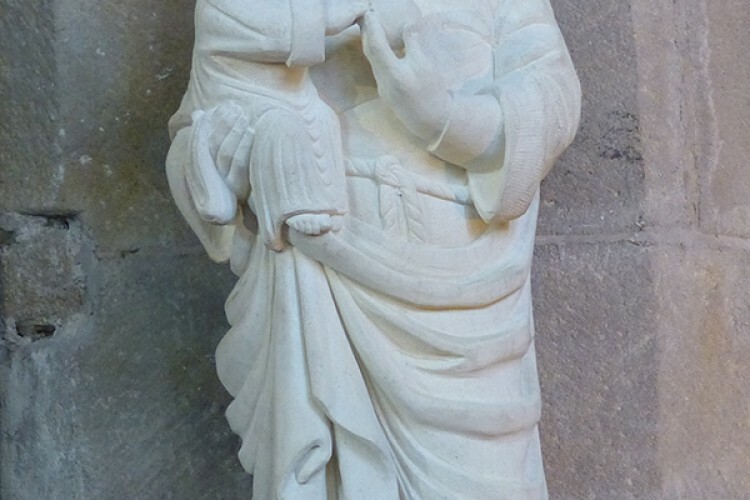 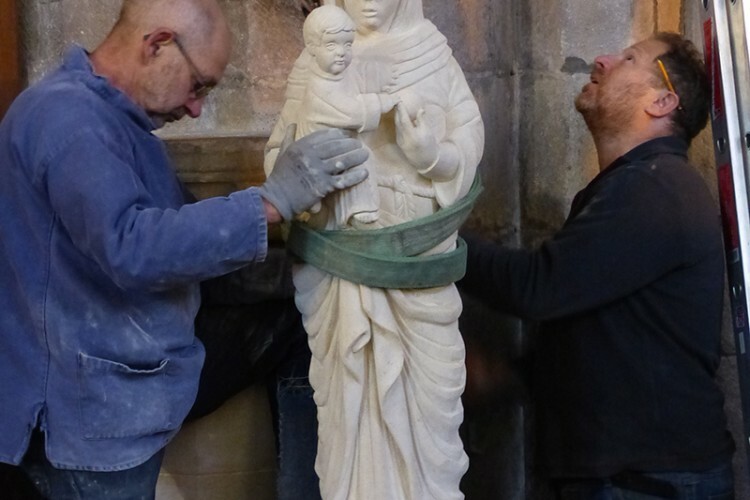 Some two years ago the Priory commissioned Tim Foster of York to carve a statue of the Blessed Virgin Mary, one of our patron saints, with the infant Jesus. 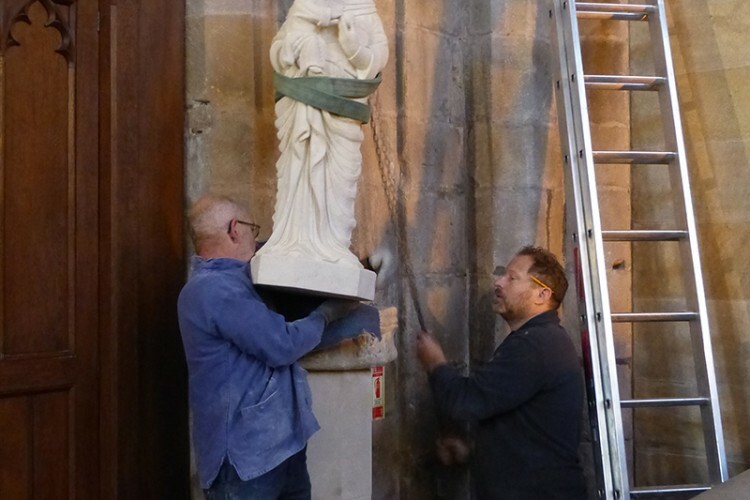 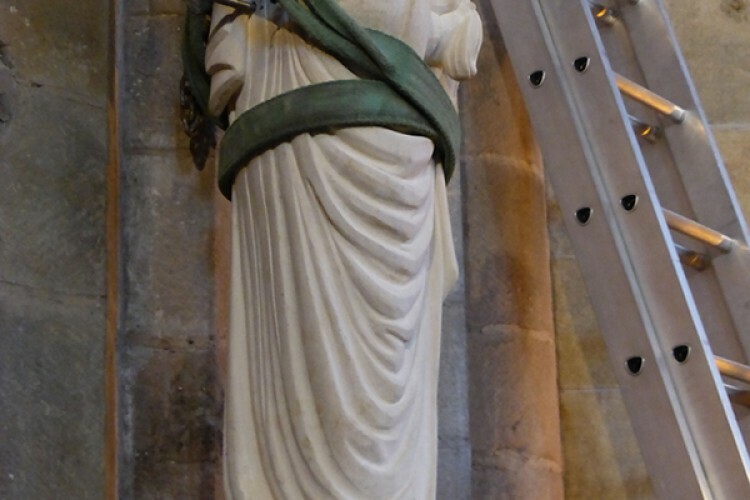 We are pleased to say that the statue is now in place, awaiting a formal dedication by Bishop James, our Area Bishop, at the 10.30 Sung Eucharist on Sunday 7 September. 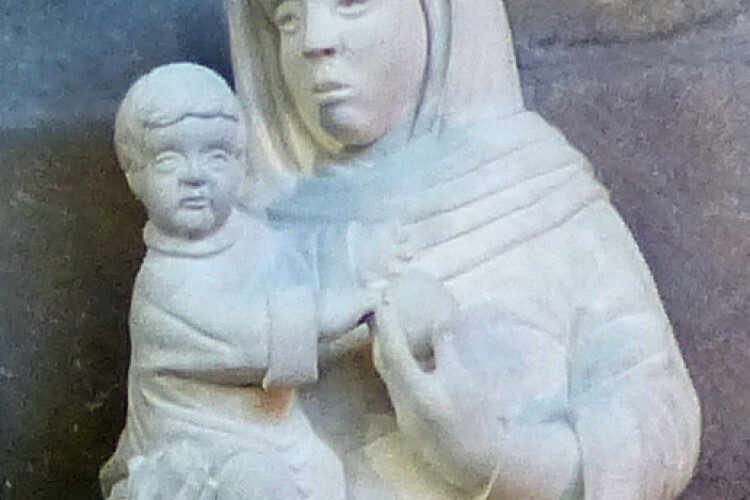 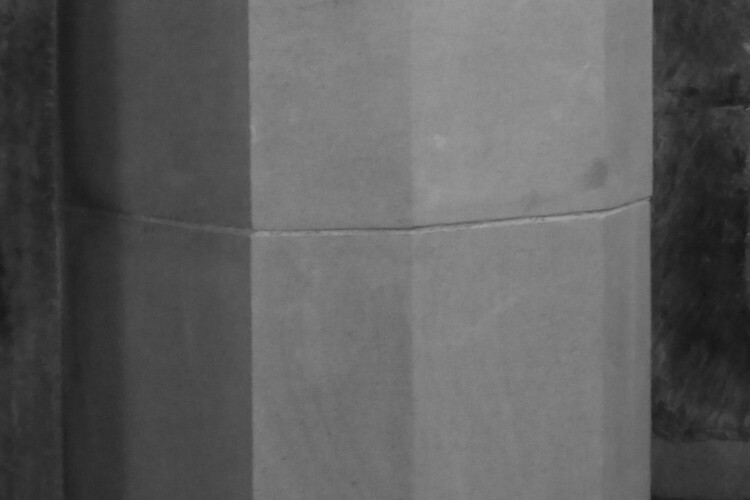 Detail showing Christ receiving the apple, as the ‘Second Adam’.